The Sacrament of Marriage – Benjamin Franklin | It's the Women, Not the Men! 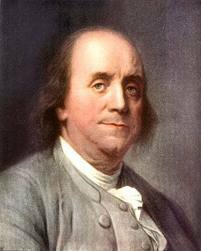 Benjamin Franklin (1706-1790) – one of America’s Founding Fathers – inventor, author, printer, politician, post master, diplomat, satirist, musician, scientist, political theorist and civil activist. What wit had Mr. Franklin. A priceless truism. I’ve always found Ben Franklin to be completely enthralling. In his genius, he in many ways, reminds me of Winston Churchill. I think that is an apt comparison.